The week didn’t get off to a great start. Adam [a 26-year-old LandWorks trainee] had consumed bleach over the weekend, I suspect a reaction to a potential court order to take his children into care. I sometimes worry that I have become so thick-skinned that not much affects me, but no. April brings in a new era for LandWorks, a period without Big Lottery funding. I am confident, and we have a funding plan in place, but I’m conscious that Sarah Hocking [Project Coordinator] gets the brunt of my worries. Tuesday, there was a nasty DV [Domestic Violence] issue which occupied all of the team. Car pulls up at LandWorks and the occupant [a trainee] is dumped, badly bruised and very shaken. Simultaneously, but totally unconnected, another trainee, who I judge is a bit ‘off key’, arrives to start his third day here and l decide to drug test him. The team are now adept in dealing with these sorts of calamities. This capability is thanks to our counselling skills training. The final training session is on Monday afternoon, we all have to present an object that represents our journey… show and tell type stuff. 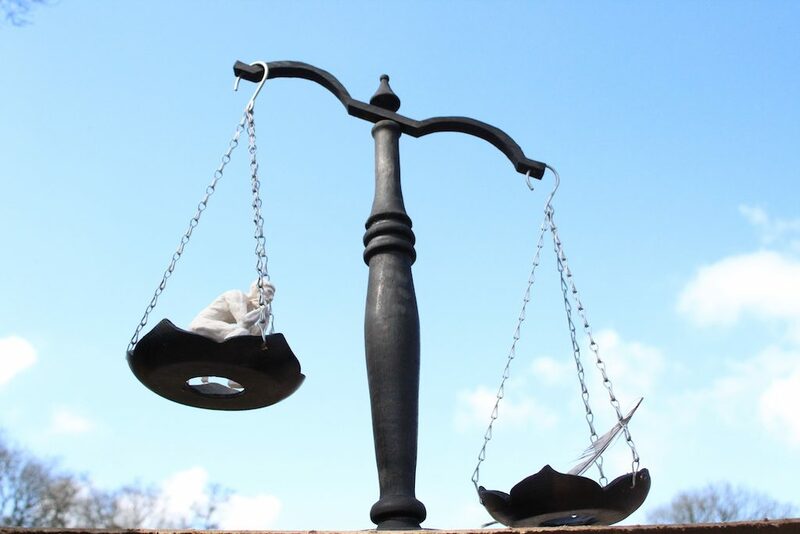 So, I’m racking my brains to think of an object… I think I’m going to use a set of balance scales, that one of the lads here made and used in a most remarkable piece of art (entered into the 2018 Koestler awards). During training, I revealed that I started LandWorks partly because I felt so blameworthy about Rich and Dorian [two troubled individuals that Chris previously employed, who both died in the same year from drugs]. I felt I could’ve, should’ve done more for them. I now realise my desire for reparation is a balance. LandWorks has enabled me to ease a burdensome sense of guilt, the scales have tipped back. A good thing for me and I’m sure for my nearest and dearest. Eric [released from HMP last week, in his fifties, heroin addict for 30 years] phoned in on Thursday to say he’d passed his Articulated Dumper test [LandWorks organised and paid for this test]. He’s now on his way to a job. This is exactly the help that should come from HMP [Her Majesty’s Prison service] and the various support organisations around release. Three different organisations promised to help, they misled Eric, promised everything, delivered nothing. So, we stepped in. The first week of release is critical. Good 4pm meeting with Ted [Chair of Trustees]. I update him on the week’s issues, we work well together. I hear on Thursday from probation that they are being directed not to recall offenders. Recall [a procedure to get a criminally active offender back inside prison] is the very last option, a blunt instrument used when all else fails. I think this is a very dangerous route to lower the prison population. It can only be a matter of time until there is a serious incident. Friday, there is an interesting lunchtime debate about MasterChef. Pleasantly there is no racist language about contestants, a step forward, albeit baby steps. Although I was ticked off by identifying one chef by his auburn hair colour and accused of being ‘gingerest’! Then good news comes in. John [25-year-old trainee, suspended prison sentence, and community hours] gets the job he applied for on Tuesday. He starts on Monday. So does Eric.